We believe that every faith community in Houston has a vital role to play in the rich tapestry of our city. We are passionate about equipping and assisting faith communities to get to know their neighbors. Interfaith Ministries for Greater Houston (IM) welcomes the opportunity to serve you and your faith community. The Interfaith Relations and Community Partnerships (IRCP) Department is committed to fostering relationships among people of faith in the Greater Houston Area. 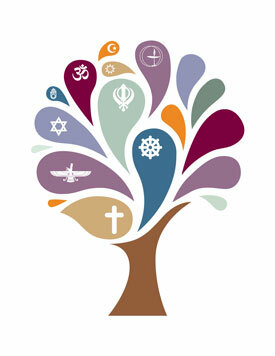 In addition to our regular programming, we help Houston residents stay connected through assisting you with your needs with respect to interfaith dialogue and education. We will help you set up a faith tour, find a religious speaker, or share information about your event with the larger community. If you have other needs we welcome you to submit those requests and will do our very best to assist you. Please fill out the appropriate form for your need and we will contact you. Thank you for coming to the IRCP Department here at IM, we look forward to hearing from you. Please click the tabs below to submit your individual requests. Interfaith Ministries for Greater Houston welcomes the opportunity to arrange faith tours on behalf of you, your faith community or community organization. Please fill out the necessary information and we will respond to your request within 5 business days. In an effort to accommodate as many requests as possible please submit your request a minimum of three weeks prior to your preferred tour date. Thank you and we look forward to serving you. Interfaith Ministries for Greater Houston welcomes the opportunity to provide representative speakers from local Houston area faith communities for school groups, faith communities, or other organizations. Please fill out the necessary information and we will respond to your request within 5 business days. In an effort to accommodate as many requests as possible please submit your request a minimum of three weeks prior to your preferred event date. Thank you and we look forward to serving you. Interfaith Ministries for Greater Houston seeks to help faith communities and organizations promote faith based events and programs that are open to the general community. Below is the request form for us to include your event in our Community Events Calendar. Thank you and we look forward to serving you. All requests must be submitted by one month before your scheduled event. * We will make every effort to accommodate your request. Due to the volume of requests we may be unable to do so. Please provide us with your contact information in case we need more information.